"After playing percussion for many different bands in London I decided I was ready to write and perform my own music so decided to do a course in Sound Engineering. During this time I bought a digital mixing desk and recorder and taught myself to use them. I recorded all the live instruments on this album using this equipment. The whole album was designed to be performed as a live "One Woman Show" with me playing all the instruments by looping them and building up layers live on stage. 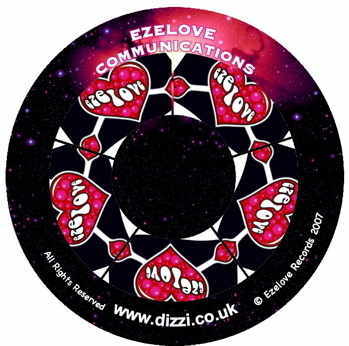 My inspiration For "Ezelove Comunications" was to write an unique and original album using traditional Instruments in a modern way." The style of music on this album is varied, ranging from Folk Rock to Drum and Bass and Dance.